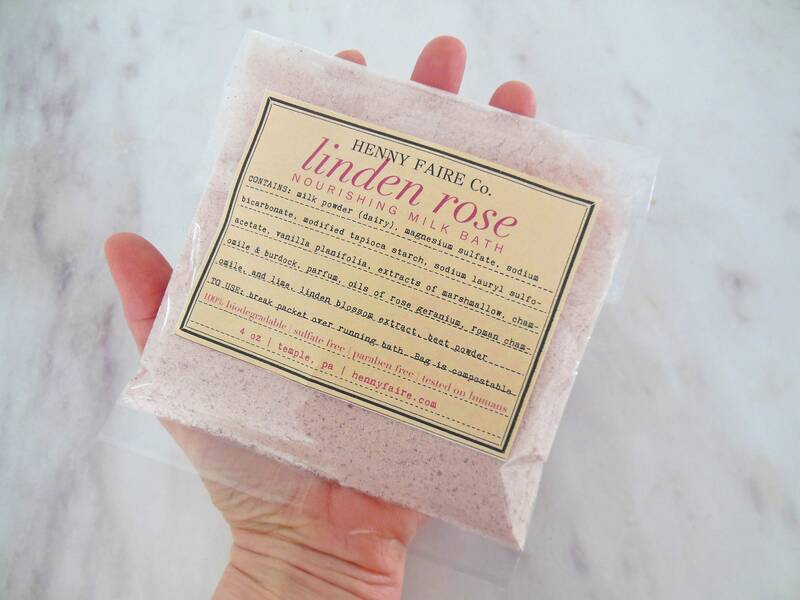 Henny kept her skin supple with a weekly bath of sour milk, linden honey, and rose petals. 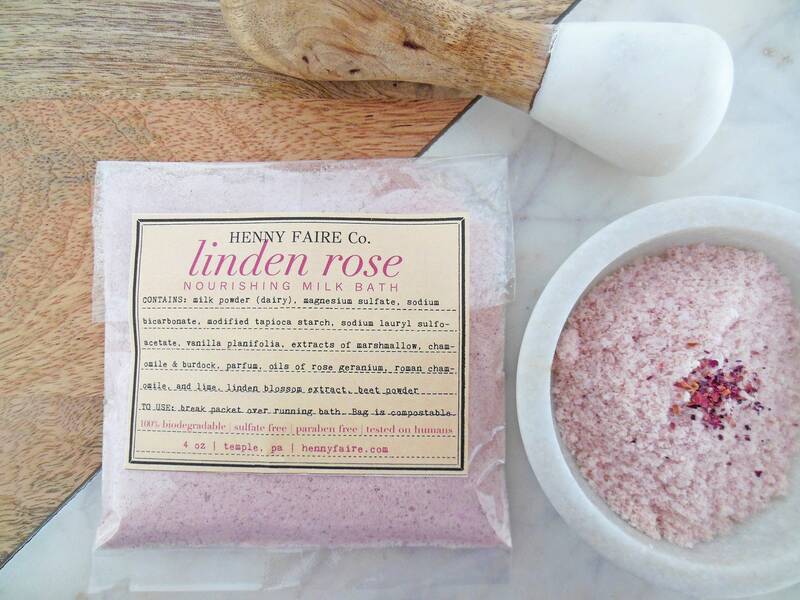 We recreate this ritual (without the "sour") in our HENNY FAIRE Co. Linden Rose Milk Bath. 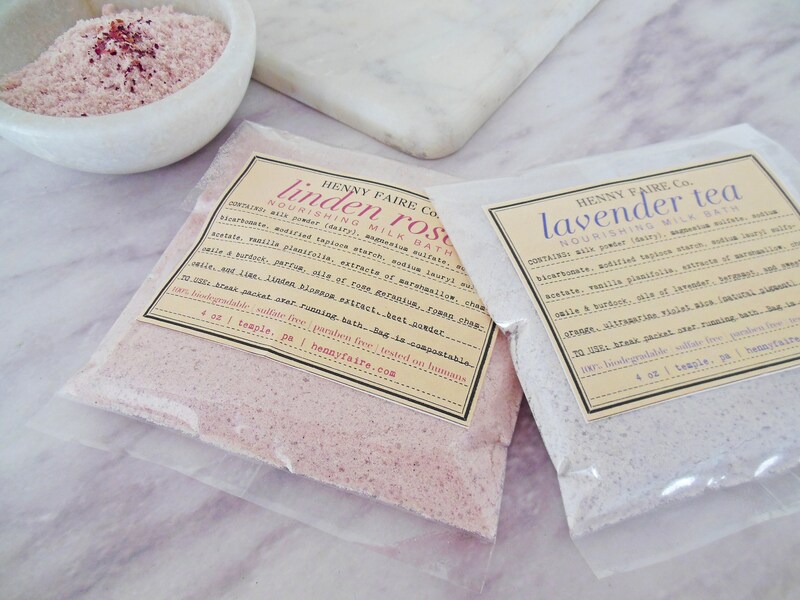 While you relax in the natural perfume of rose, linden blossom, and Roman chamomile, the lactic acid from real milk works to soften your skin.